Five figure skaters from the Florida Panthers Figure Skating Club just punched their tickets for the 2018 U.S. Figure Skating National Championships. This past weekend in Boxborough Massachusetts, Sophia Chouinard, Lucas Altieri, and Franchesca Chiera all earned qualifying spots by finishing in the top four at U.S. 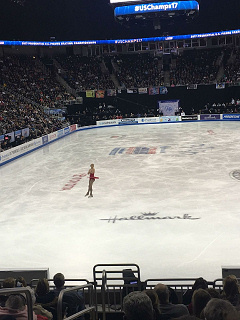 Figure Skating's Eastern Sectionals. Only 12 skaters from all over the U.S. qualify for Nationals in each discipline. Sophia earned her spot finishing fourth in Novice Ladies, Lucas Altieri finished in third in Novice Mens, and Franchesca Chiera finished second in Senior Ladies. Senior Men's skater Andrew Torgashev who is competing for Team USA on the Jr. Grand Prix circuit also received an automatic bye through to compete at Nationals. Aother skater from Pines arena, Eric Prober also qualified by finishing second in Novice Men's. Congratulations also go out to Junior Ladies skater Laura Anunziatta and Novice ladies skater Tiffany Pinella, and Pines skater Alexa Binder who also qualified for Sectionals. Both Torgashev and Chiera are members of Team USA. 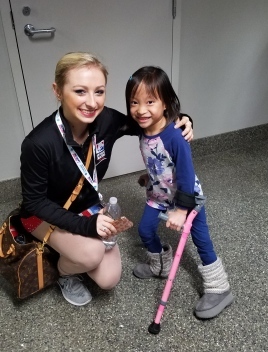 For Chiera, this will be her fifth trip to U.S. Nationals and second time competing at the Olympic Trials at the senior level. "Franchesca is an amazing athlete who knows how to focus and put on her best performance when it counts. 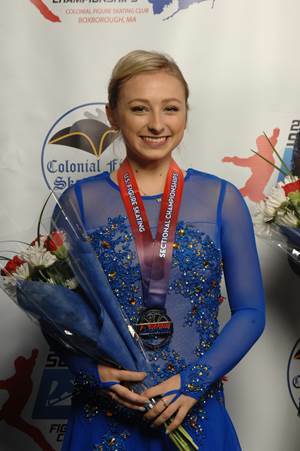 To make it to her fifth National Championship at the Senior ladies division is quite an accomplishment" said Ilona Melnichenko, Chiera's longtime coach and choreographer. 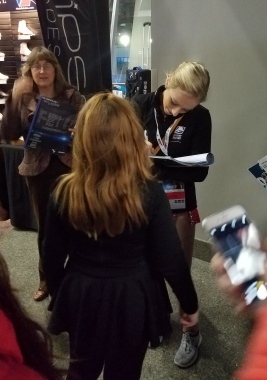 Melnichenko along with her husband Artem Torgashev and other jump coach Curtis Chornopyski also coach their son Andrew Torgashev, a current Junior and Senior level competitor for Team USA. Torgashev this past year has earned enough points to also quality for this year's Junior Grand Prix Championships in Nagoya, Japan from December 7th -10th. Torgashev and Chiera, who skate at the Senior level, will once again be competing for spots on the U.S. Olympic Team. U.S. team selections will take place at the conclusion of this year's trials in San Jose, California. The Olympic Trials will be televised live on NBC Sports Network January 3 at 11pm EST, and again January 5th starting at 8pm EST on NBC. 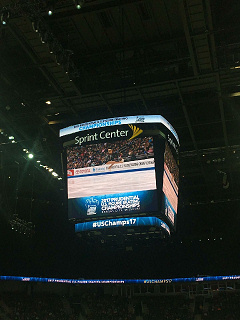 This year's National Championships will take place at the SAP Center, home to the NHL's San Jose Sharks December 29 - January 7, 2018.